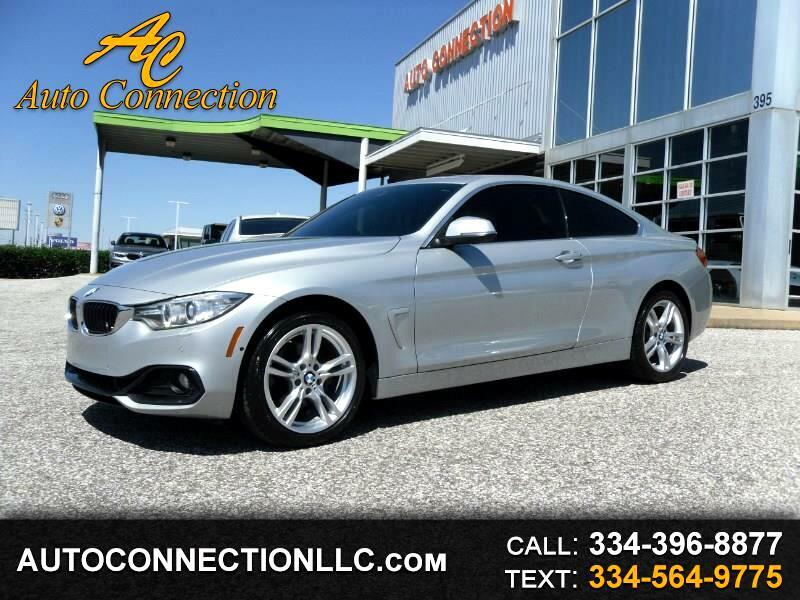 2017 BMW 430i SPORT xDrive! Glacier Silver Metallic over Black leather with Fineline wood trim, Navigation, SPORT LINE Package, COLD WEATHER Package DRIVER ASSISTANCE Package, DRIVER ASSISTANCE Plus package, PREMIUM Package, TECHNOLOGY Package, Heated seats, Heated steering wheel, Heads Up Display, Speed Limit Info, Side and Top View Cameras, Active Driving Assistant, Active Blind Spot Detection, Comfort Access Keyless Entry, BMW Online, BMW APPS, Connected App Compatibility, Adaptive bi-xenon headlights, HARMAN KARDON Surround Sound, XM radio, USB ports, Bluetooth with streaming audio and more! Just Serviced! 4 Brand New Tires! 1 Owner! Non Smokers car! Carfax Certified! EXCELLENT CONDITION! Free 3000 mile 90 day warranty at $17,995! Message: Thought you might be interested in this 2017 BMW 4 Series.